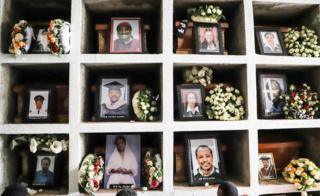 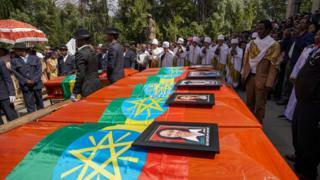 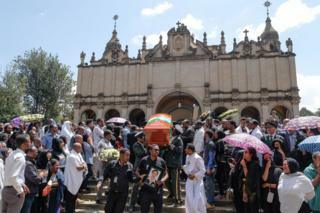 Empty coffins representing the Ethiopian victims of last week’s Ethiopia Airlines plane crash have been buried in the capital, Addis Ababa. 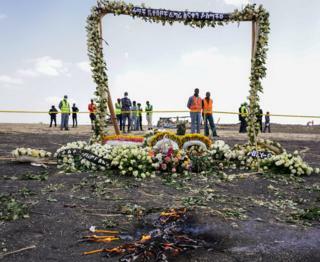 Meanwhile, flight data from the Ethiopian Airlines disaster a week ago suggest “clear similarities” with a crash off Indonesia last October, Ethiopia’s transport minister has said. 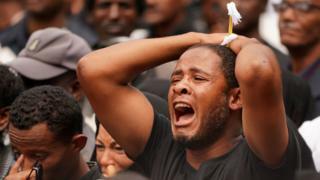 The BBC’s Kalkidan Yibeltal in Addis Ababa says that temporary death certificates were issued ahead of Sunday’s funeral service. 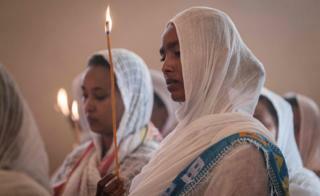 “Our deep sorrow cannot bring them back,” an Orthodox priest wearing a black turban and robes told the crowd gathered outside an airport hangar. 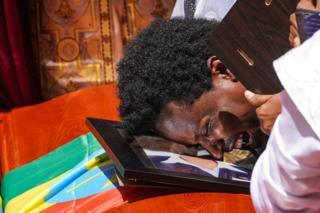 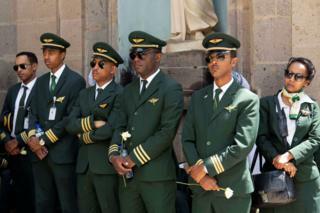 “This is the grief of the world,” he said, as Ethiopian Airlines staff sobbed in each other’s arms, Reuters reports.